Hello Friends! 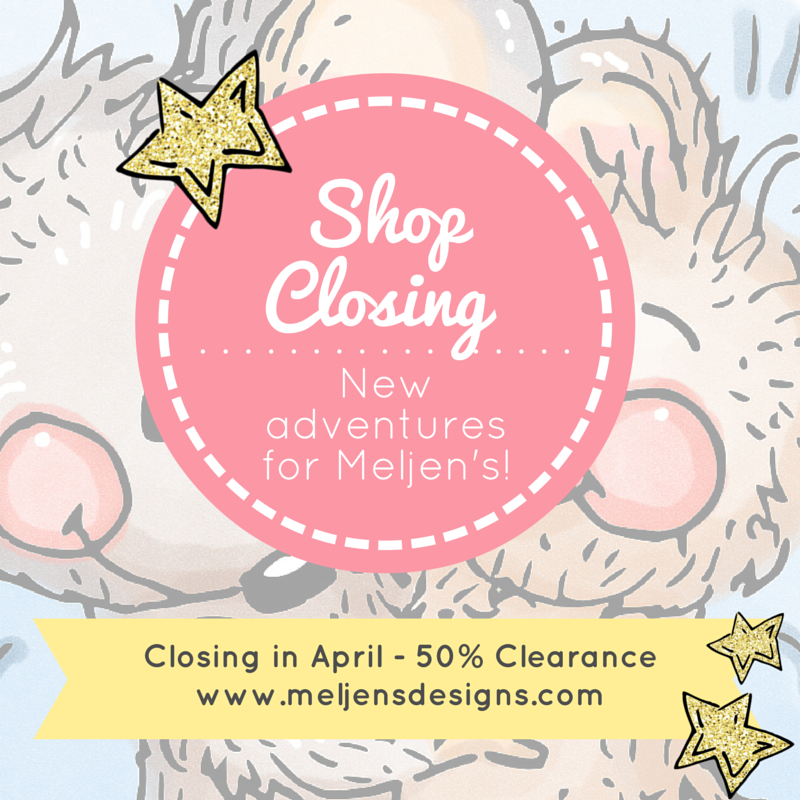 I just found out that MelJen's Designs will be closing! YES! Melissa has decided to take her art to Etsy and present it in new and exciting ways. While I wish her all the best in her new endeavor, I am sad to know her sweet Shop will no longer be bringing smiles to people via her super cute digital images. And because she is such a sweetheart, Melissa is having a Shop Closing Sale until the end of April. All of her adorable digital images are 50% off, so if you have a wish list going, now is the time to buy. Many of you may know that I was on the Design Team for Meljen's Designs for a while. LOVED it! Her images are so much fun to work with and color. Click HERE to see a compilation of my artwork featuring Meljen's images. Thank you for stopping by today! I will share my coloring for Day Two of the 30 Day Coloring Challenge a little later. Oh gosh, that is bittersweet, Barb. I know how much you have enjoyed her images. Thanks for the heads up on the sale. I do look forward to seeing what she will do with her Etsy shop. Thanks for letting us know!